A very rare find, this unusually lengthier knife from the Shang Dynasty period with distinctive markings on the handle, was used for ritual or ceremonial purposes rather than military or domestic. It would have also required a superior level of craftsmanship to produce. Click on Explore to learn more about this piece. 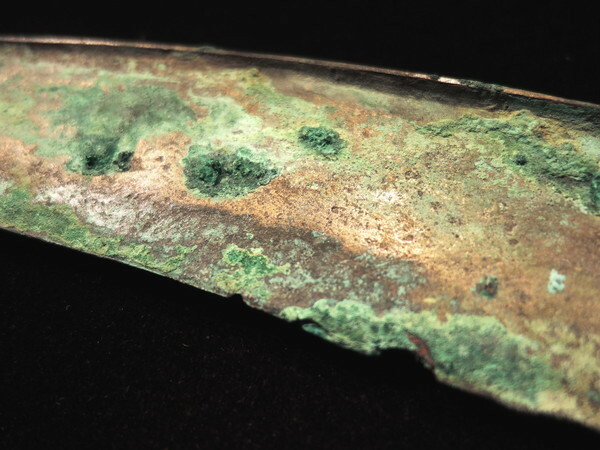 Unearthed from one of the tombs in the ruins of Yin, near Anyang, Henan Province, among other ritual sacrifices, the construction of this bronze knife attests to a high level of civilisation.